Automated Parking Systems: Steel or Concrete for Sustainable Car Parking? Steel or Concrete for Sustainable Car Parking? The terms “sustainable” and “sustainability” seem to come up more frequently in everyday life. In the real estate and property development communities, the terms are quite common when dealing with local planners and government bodies. And, one issue that appears never-ending is that of whether steel or concrete is the more sustainable building material. If you aren’t entirely certain about the definition of sustainability, you’re not alone. There is no official definition and every group tends to bend the concept to fit its agenda. One of the more common definitions for sustainable development comes from a 1987 U.N. commission: “…sustainable development is development that meets the needs of the present without compromising the ability of future generations to meet their own needs.” That pretty much encompasses just about everything and anything. Back on the subject of steel versus concrete - you can well imagine that both industries have studies that show their material is the most sustainable. There are, however, a number of independent studies, and one of the most thorough treatments is a 156-page, 2006 Master’s Degree thesis from the Massachusetts Institute of Technology (MIT). The author quantified the requirements to produce steel and concrete as building materials and their impact on sustainability in terms of total energy consumption, natural resources consumed and CO2 emissions produced. The MIT study concluded that it takes about the same amount of energy to produce equivalent amounts of both steel and concrete. Steel was judged to produce about 25% fewer CO2 emissions than concrete due primarily to the large amount of fossil fuel burned to produce cement. In the resource consumption analysis, steel had nearly a 4-to-1 advantage that seems logical. On a pound-for-pound basis, steel is simply much stronger than concrete. Rather than declaring steel the more sustainable building material, the study points to numerous variables and sustainability criteria that make impossible any general conclusion. 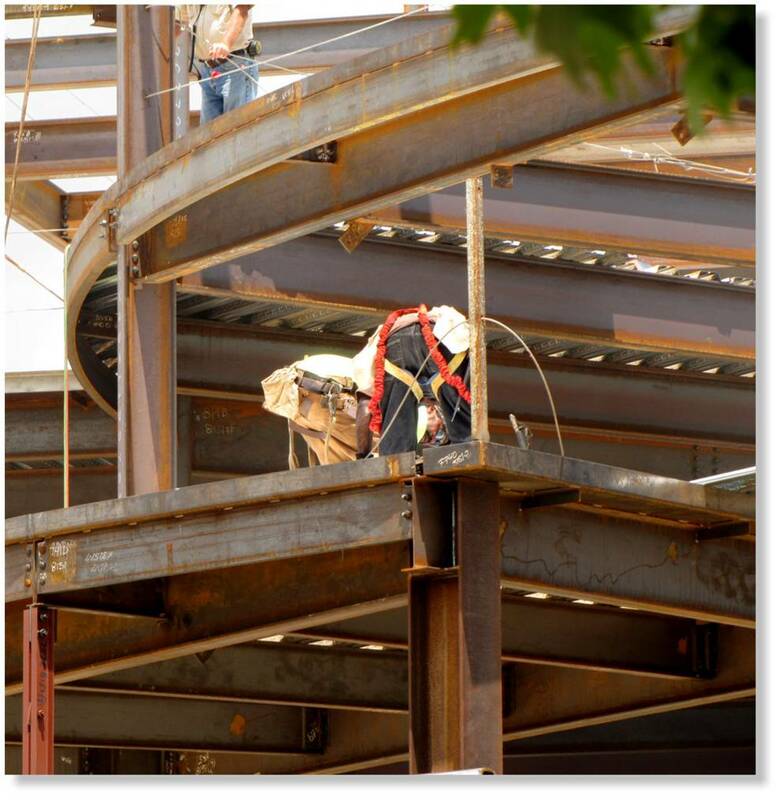 Automated parking systems from Skyline can utilize all steel structures beyond the foundation. Is concrete better? The choice is up to you. Contact your Skyline representative to learn more.